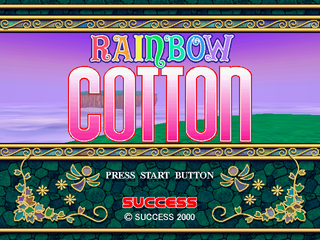 Rainbow Cotton (レインボーコットン) is an entry in the Cotton series of shooters. It was released for the Sega Dreamcast. Like the earlier Panorama Cotton it is played from a third-person perspective. Main article: Rainbow Cotton/Magazine articles.